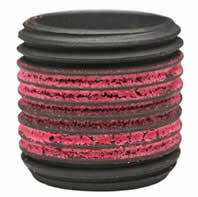 These are E-Z LOK™ (Solid Wall) threaded inserts designed for use in spark plug repair. Internal thread sizes from M10 to M18 are available in a variety of lengths. In addition VW Case Savers are offered in through hole and blind designs.